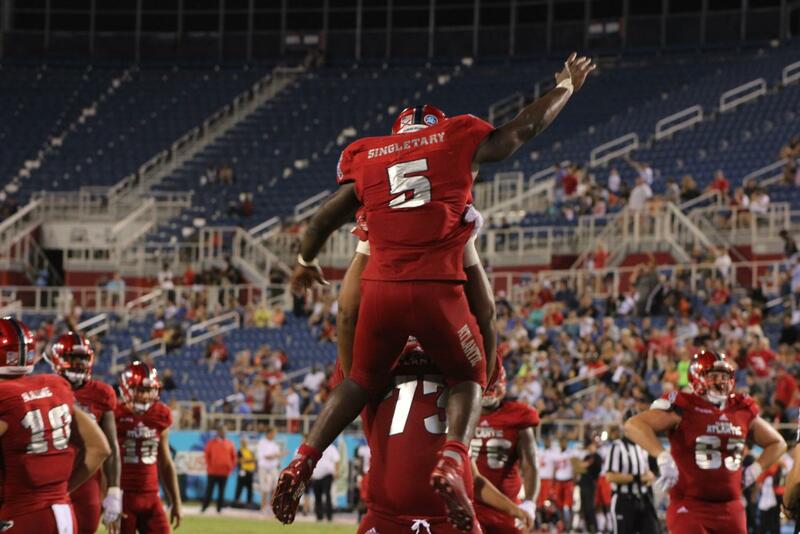 Devin Singletary and Kerrith Whyte combine for 321 rushing yards and four touchdowns. 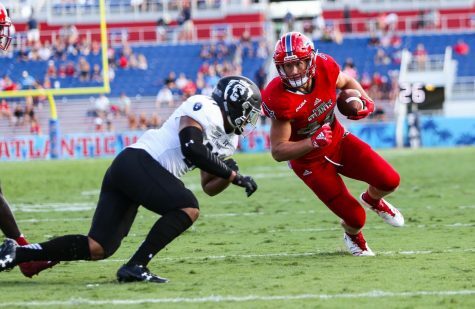 FAU pounded Western Kentucky 34-15 in its homecoming game, outscoring the Hilltoppers 24-6 in the second half to make it happen. 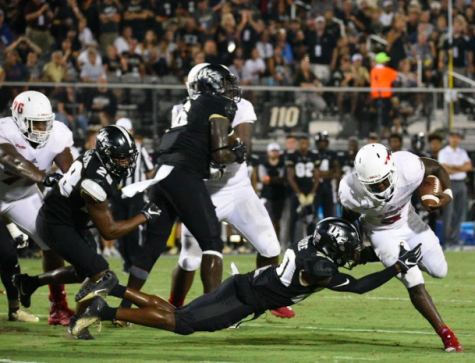 After storming out of the gates to score a touchdown on its first possession, the Owls offense looked sluggish for the rest of the opening half. 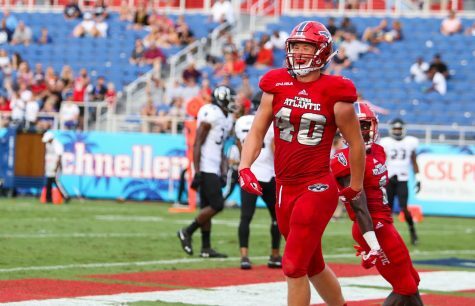 The FAU defense was lights out in the first half, however, holding Western Kentucky quarterback Steven Duncan to only 58 yards passing through two quarters. 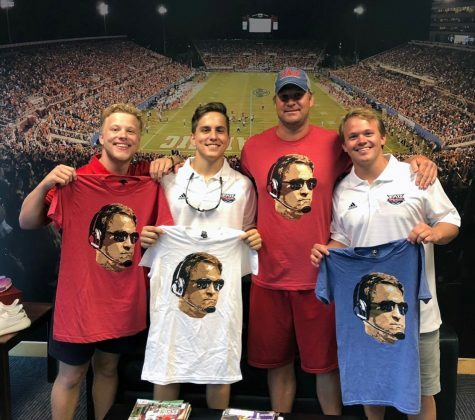 FAU coach Lane Kiffin used a dual-quarterback system tonight, giving De’Andre Johnson some playing time after his big game against FIU last week. 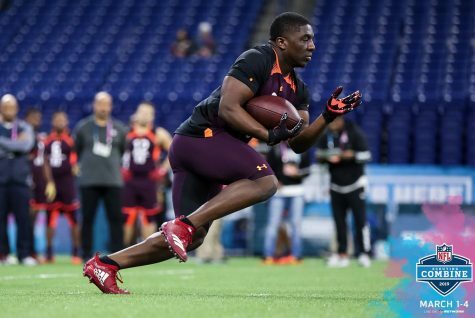 He did some nice work as a runner, but threw an interception in Western Kentucky territory in the second quarter. 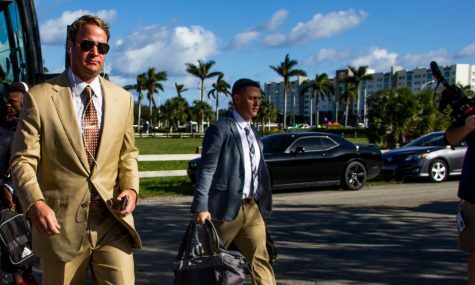 Kiffin decided to roll with Robison for the rest of the night after Johnson’s pick and the decision proved justified. 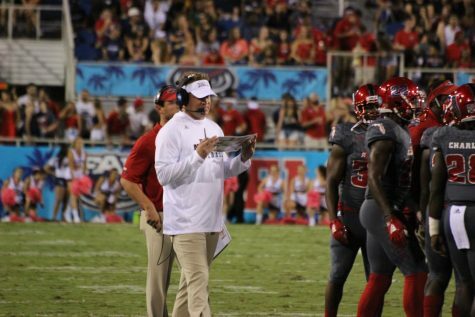 Robison completed over 80 percent of his passes for 231 yards in the Owls win. 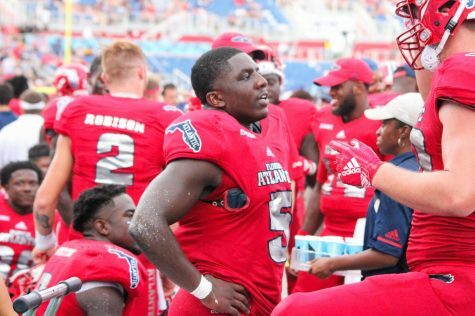 The FAU rushing attack took off in the second half, Devin “Motor” Singletary and Kerrith Whyte racking up a combined 321 rushing yards and four touchdowns. This is the second-consecutive week Singletary and Whyte have combined for over 300 yards rushing and four touchdowns. 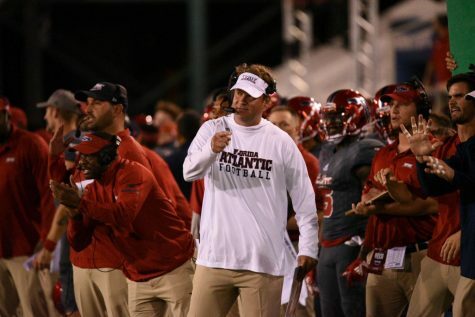 And both of those big performances came in FAU victories. 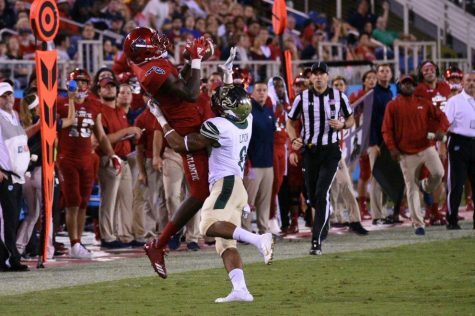 FAU plays next at North Texas on Thursday night, kickoff in Denton at 9:30 p.m.